save up to 20% Please note that sale items may only be returned within 14 days of receipt. Please check carefully to ensure that your sale item is suitable. 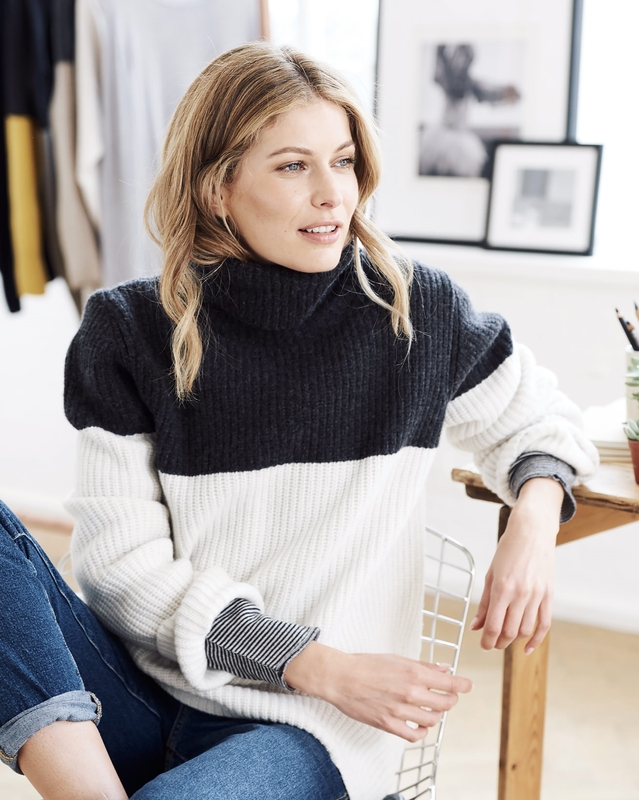 One of our bestselling shapes, this roll neck has been taken up a level by the fishermans rib stitch and colour block detail. Lovely thick, warm jumper, very stylish colours and design. Size small fits me perfectly - a good length too - but with plenty of room for layers underneath. Haven't worn it yet, as the weather's not cold enough! - but I'm sure it will get plenty of use when the weather turns really bitter. 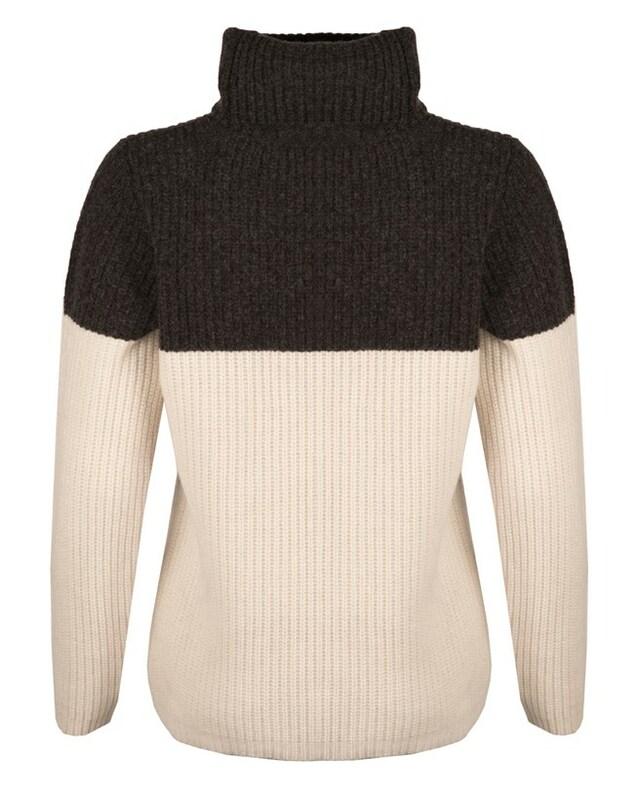 I am a huge fan of Celtic knitwear and have bought two jumpers this season. More than I would usually pay for a jumper, but the quality and fit are worth every penny. Wow! Just a gorgeous jumper. I'm a size 12 and bought a Medium in the ivory/charcoal colour. It's just perfect!! Soft, perfect size for me (I'm 5'3"). Yes, sleeves are long but that's a look I like! Thank you. Highly recommended.